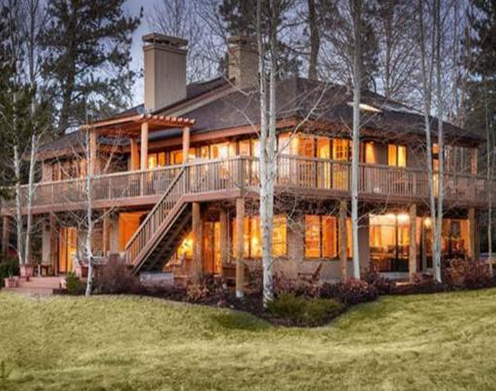 Mountain Village West, in Sunriver, Oregon, is mountain living at its finest! Mountain Village, West is a community within the mountain resort of Sunriver, Oregon. The Sunriver residential community is spread out over over 3,300 acres which includes over 1,800 residents living in its boundaries. Sunriver has been nick-named “Tree City USA” due to the community’s devotion and dedication to preserving its environment. Sunriver is a master-planned community consisting of villages which contain single, multi-family residential, and resort properties. Sunriver is located in the southern part of Deschutes County, about 15 minutes away from Bend. Sunriver is two miles west of US Hwy 97 and 15 miles south of the city of Bend. It borders the Deschutes River to the east. It is surrounded by the gorgeous and breathtaking Deschutes National Forest. The area of Central Oregon just east of the magestic Cascades. This mountain range divides the the state into dry and wet sides, respectively. This thriving and bustling resort community is situated at 4,165 feet, with average winter temperatures between 20 to 39 degrees. The average summer temperatures are between 41 to 83 degrees. The Annual snowfall will average about 45 inches. This community is nearby of Mt. Bachelor Ski Resort which is about a 20-minute drive. Lava beds, vast forest land, snow-capped mountains, and raging white rapids is what Central Oregon is all about! Outdoor enthusiast’s from all over the nation and all over the world come to Central Oregon for its summer fun and to enjoy its winter paradise. Sunriver, Oregon is most noted for its winter and summer outdoor activities. The Deschutes National Forest and its exquisite wilderness areas offer endless opportunity for world-class skiing, snowboarding, cross country skiing, hiking, mountain biking, horseback riding, dog-sledding, snowshoeing, snowmobiling , whitewater rafting, fly fishing, kayaking, rock climbing, and much more! Sun River also boasts many cultural activities such as the annual Sunriver Music Festival, and also hosts many events hosted by Sunriver Resort. Residents can also learn about the wildlife and beautiful plants at the High Desert Museum. Sunriver offers its residents convenient shopping, civic organizations, community churches, a post office, great public schools, an airport, and St. Charles Medical Center, top-notch medical facility and trauma center. Mountain Village West is 3,000 acres of mountain living at its absolute finest! 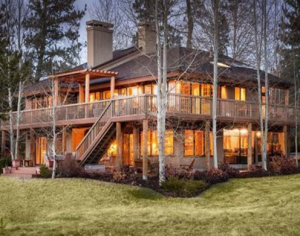 It is a family community and village within the mountain resort of Sunriver, Oregon. It is a haven for family outdoor activities all year round! It is heaven on Earth and it can be yours too!